A cool weather is almost an impossibility in Manila with its tropical sun scorching down on the metro. But for those who want to unwind, sans the sweat, Tagaytay in Cavite is probably the best place to visit and the most popular choice for a quick weekend or day trip for those coming from Metro Manila. A three-hour drive away, the city has been a favorite vacation spot for Metro Manila locals due to its proximity and it’s crisp breeze. Most travelers don’t think to hop on over from Manila to Tagaytay for a few days in-between flights, so take advantage of the unspoiled culture and local prices while it’s still a somewhat secret spot on the western trail. Tagaytay isn’t what you would imagine when you think of a Filipino city. While there is public transportation and the occasional traffic jam, Tagaytay is a city full of nature. The outdoor parks, restaurants, and even shopping centers take advantage of the stunning scenery by building around rolling hills and green ridges so that every experience feels like you’re still one with nature. People come here for the cooler climate, refreshing sights and the various restaurants that offer an easy escape for locals. Other towns in Cavite also offer historic spots and resorts ideal for sports and recreational activities. 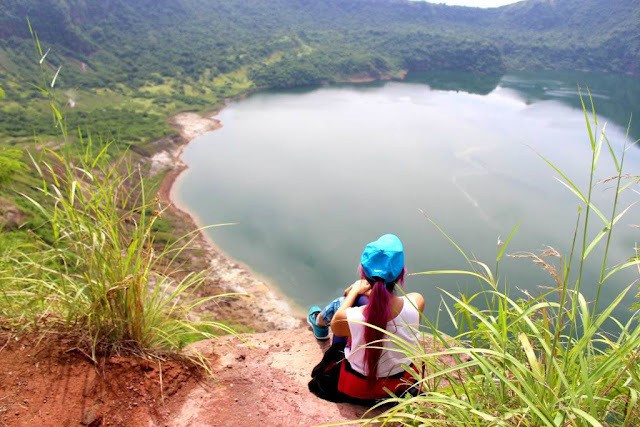 The main attraction in Tagaytay Come is the incredible Ta’al Volcano, which is truly a natural anomaly that will leave you scratching your head. So if you’re looking to go on a road trip, Tagaytay is your best bet with its unique places to visit, scrumptious food and exciting activities to try. 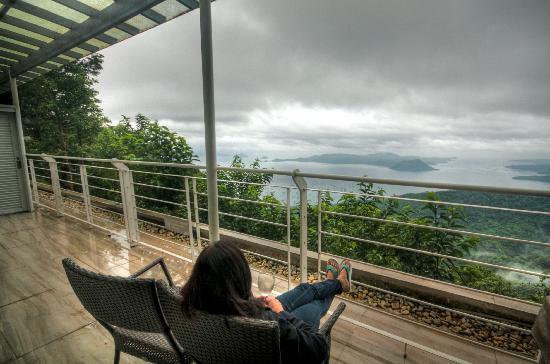 Here are the best things to do when in Tagaytay. One of the best places to go “find yourself” is at Tierra de Maria. Our Lady of Manaoag at Tierra de Maria is known to make prayers and wishes come true, which is why it is popular among tourists. You don’t have to be religious to find the ‘Our Lady of Manaoag’ fascinating. This is a spot where Filipinos worship and take photos for their Facebook. There is a small church temple next to the statue with a flea market collection of a Jesus statue on the cross, photos of the prophet, and twinkling Christmas lights strung about. The 50-foot Marian shrine, the quaint church and the quiet atmosphere make for a good place to meditate and do soul searching. Take the once in a lifetime opportunity to trek the smallest active volcano in the world! 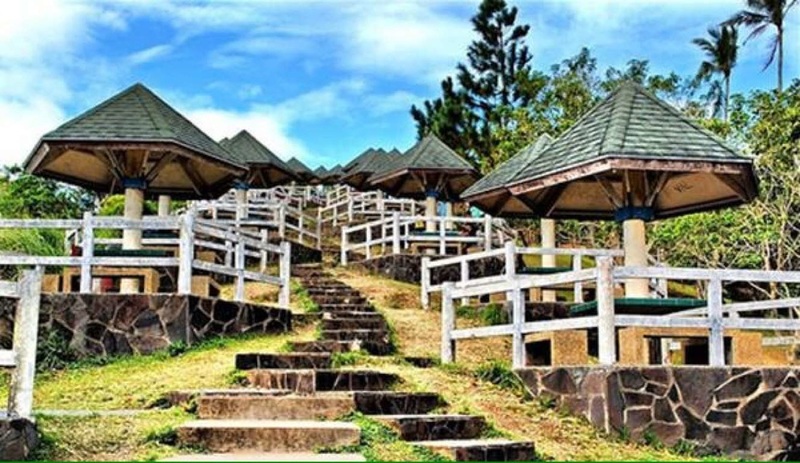 Although a little heavy on the budget and less than an hour drive from Tagaytay’s town proper, the two kilometer trek offers the most unique experience in Tagaytay. The adventure kicks off with a short boat ride to Volcano Island before treading the sandy trails of Taal Volcano. Passing through volcanic steam vents to reach the crater, you can reward yourself with a quick swim at the peak in the sulfur-diluted lake within the volcano. The priceless scenery and breathtaking summit is definitely the adventure of a lifetime. If you are looking for a place to spend with your family, then this is the perfect place for you. It offers a view deck allowing visitors to take photos of the volcano as well as the lake surrounding it. If you opt to stay for the day, you may choose to rent a table, huts, or even a pavilion. While those who would like to stay overnight may also opt to spend the night at the hostel. There are tons of activities here such as horseback riding, ziplining, swimming, shopping, and cable car riding. You could easily spend the entire day here. There are also restaurants and resto-shops to keep you sustained. 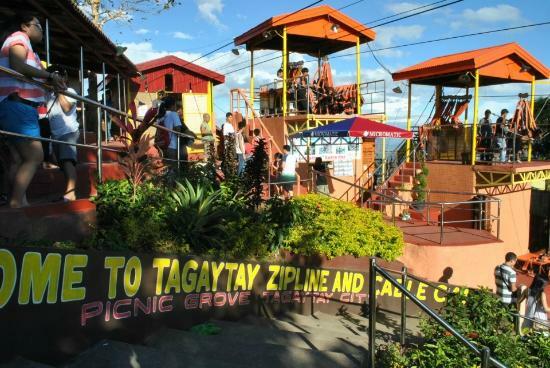 If you’re the more adventurous type, you can try out one of the Zipline attractions in Tagaytay. With the breathtaking Taal Volcano as your backdrop, you can take the exhilarating 300-meter long leap at Sky Ranch. Or you can zip down the mountains in Picnic Grove. Aside from the Zipline, it also offers a Cable Car ride above an eco trail. The 300-foot high Zipline can accommodate up to three people in one go, while the cable car can board the whole family. 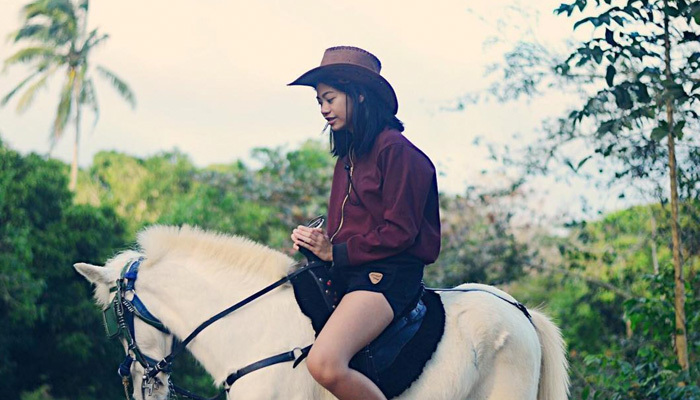 Ok, this may not be a “unique” thing to do in Tagaytay, but there’s something about riding horses in chilly weather — it’s the perfect combination. Horseback riding is one of the most popular things to do in Tagaytay and kids would definitely enjoy giddying up around the hills of Picnic Grove. From the name itself, Paradizoo is a combination of a Paradise and a Zoo. The 12-hectare farm offers a getaway from the bustling metro with its tranquil gardens, lovely flora and fauna and haven of animals. The theme park offers a great place to bond with the family while appreciating nature. 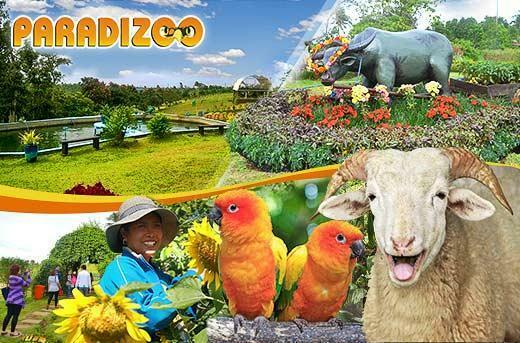 Paradizoo already offers a Farm Frenzy pet store, a meditation garden, an Orchidarium and new thrilling attractions Camel Ride and Zing Ride. The highlight is to petting the animals or trying the Camel ride and Zing ride. Conveniently located along Nasugbu Highway, Sky Ranch promises unlimited fun for the whole family. The leisure and entertainment complex features an amusement park that kids and kids at heart will enjoy. 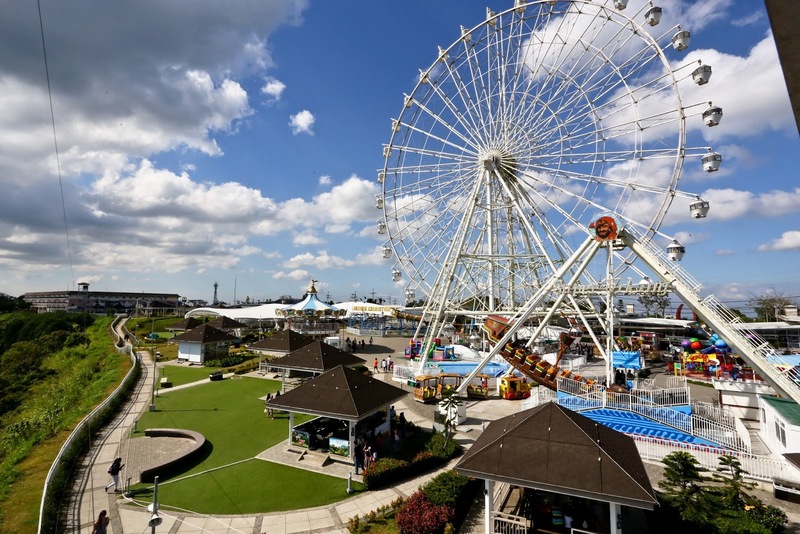 Sky Eye, one of the biggest Ferris Wheels in the Philippines, is the focal attraction of Sky Ranch. It boasts of 32 air-conditioned gondolas that give an epic view of Tagaytay City and its landmarks Taal lake and volcano. The Guinness record for the largest collection of jigsaw puzzles can be found in this diverse city. Georgina Gil-Lacuna holds the records with a total of 1,028 puzzles. Amassing all jigsaw pieces over 26 years, the collection is housed in a hectare-wide museum in Tagaytay City. 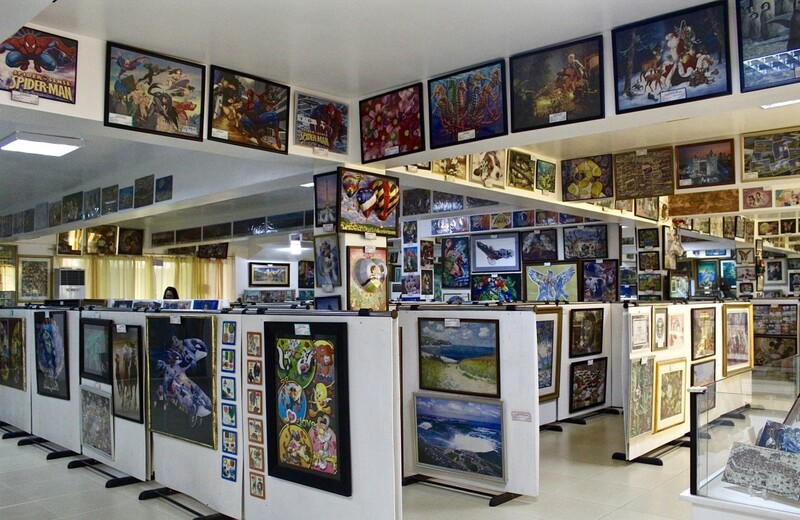 It features several types of puzzles, be it normal, 3D or 4D and has some of the biggest puzzles in the world, including an 18,000-piece masterpiece. You must see her 3D puzzles that she put together all by herself. If there’s one culture that knows a thing or two about rejuvenation, that would be the Chinese. 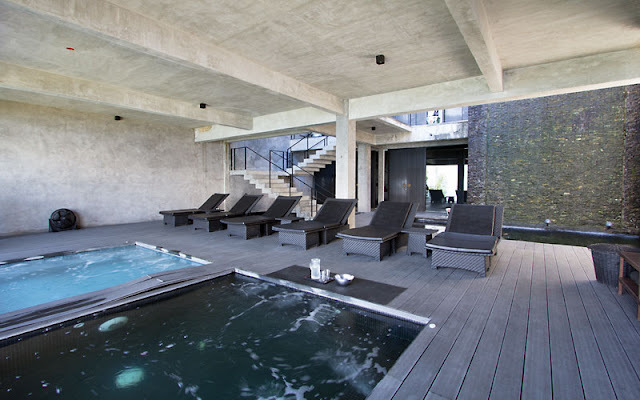 And at Qiwellness Living, they’re bringing the centuries-old healing practice of a bathhouse facility to the city. The hot and cold dip pools offer a sanctuary for relaxation and revitalization from tension, stress and body and muscle pain. Pre-booking is encouraged.